These are some Solid Fantastic Cigars! Priced right and they Come in this GIANT Box!!!!!!! Great Burn, Tons of smoke, Nice Spice with great changes throughout... Earthy, beasts! Grab some of these bad boys if you come across them! Compliments of Dr. Cigar of Folsom... a REAL B&M! Whoa. 7x54? Is that box like... a human size coffin or something? Massive! Was it a 50ct. box? Damn Oz, did you burn through that whole box already?? 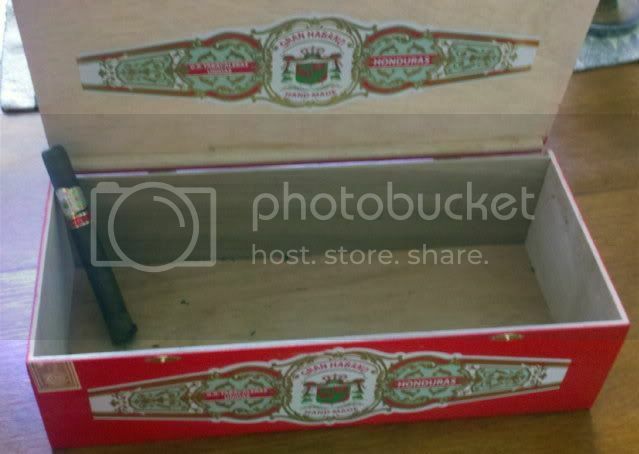 That lone cigar looks kinda sad in that massive box all by itself. there are at Least 50 in a Box... i didnt smoke them all ! I smoked my share at the B& M and when i was in the other day this was the lone one left in this box so I Bught the cigar and The store owner said since you got the last cigar how about the Box just take that too! LOL She had another 2 boxes of them ready for the Shelf,they also have them in the Green Conneticuts.... Great smokes and for 6.85 cant beat them. great smokes, going to have to try these i saw came out > GRAN HABANO GRAN RESERVA This creation by George and Guillermo Rico consists of an 8 year old wrapper and a 7 year old binder from their Nicaraguan farm La Santa Cruz. The filler is a mixture of 7 year old Nicaraguan leaf from La Santa Cruz and 8 year old Colombian leaf from their La Joya del Valle farm. The cigars were rolled in early 2008 and have been aging for the previous three years making the overall components about a decade old, making for a very smooth and rich medium bodied cigar. I've been meaning to ask this question, maybe its a stupid question but what do you do with the shaggy foot? Is it clipped, or you just light it up & smoke it as usual & it burns just like normal until you reach the wrapper? I'm just curious because I haven't had a shag-foot cigar yet, & don't have any in my storage. Toast it off. It will flame. then just light the foot. 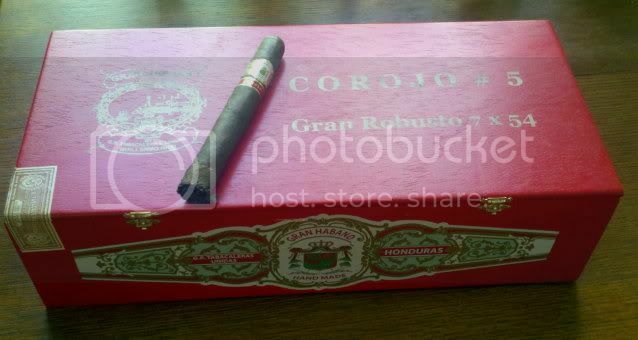 The GH Corojo #5 is a fine smoke in any vitola! It'll give many of the top Corojo wrapped sticks a run, at a fraction of the cost! That ruins the best part of a shaggy foot cigar. How often do you get a chance to taste just the fillers for a short while and then compare to the wrapper/binder/filler blend? I find the shag dry and hot. To each his own. My way works for me, but I certainly won't tell you it's the only way.